Oakland Mayor Libby Schaaf issued the following statement in response to the NFL and the Raiders’ decision to displace the team from Oakland for a second time in the franchise’s history. 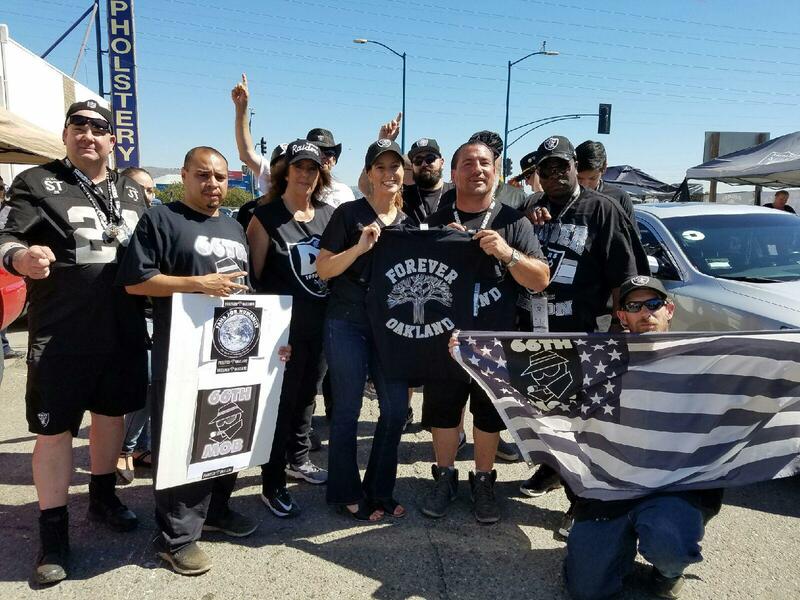 Documents outlining strength of local RaidersStadium plan publicly released. Mayor Libby Schaaf, TransForm and Lyft announced a groundbreaking new joint partnership designed to bring more transportation options to historically underserved Oaklanders. Councilmember Larry Reid is serving his sixth 4-year term on the Oakland City Council, and was elected Council President this year. Since serving on the Council, he has worked tirelessly to continue to create change in, not only District 7 (which he represents), but throughout the entire City of Oakland. Through his efforts and diligence, he has managed to champion a transformation of a district that now includes retail development centers, market rate housing projects, premier auto dealership developments, as well as the most anticipated Transit Village Development site, that many have stated, will truly be the catalyst for transit villages throughout California. Within the past five terms, Council President Reid has convinced developers, such as Signature Properties, to build a $95 million market rate housing project at Durant Square and a new 48,000 square foot Food Maxx Supermarket. He led the change on MacArthur Boulevard, which now includes a 78- unit affordable housing development (Palm Villas) and a 19-unit market rate Housing Development (Covington Manor). The transformation of MacArthur Boulevard continued with the construction of 36 units of workforce housing, 1,200 square feet retail space at 98th & MacArthur Boulevard, and 33units of senior housing with 1,200 square feet of commercial space at Durant Avenue & MacArthur Boulevard. Working with the owners of Foothill Square, Council President Reid has advocated for additional retail at the shopping center. The rebirth of Foothill Square is underway with an 80,000 square foot Foods Co grocery store, Rainbow Apparel, Wells Fargo Bank, Ross Department stores, and the upcoming retailers Shoe Palace and Carl’s Jr. With this new construction happening at Foothill Square, current tenants DaVita Health Care Partners, Inc., provider of kidney care, had built a new 8,200 square foot free standing facility and Head Start will have a new facility. Through these efforts and the effectiveness of his vision of changing a community, the residents of District 7 can experience a true transformation of East Oakland. With retail and services as a part of the change for District 7, Council President Reid has supported efforts to create a retail base within the City of Oakland. Along the Coliseum and Airport Area, which Council President Reid represents, he had championed efforts to bring the WalMart store on Hegenberger Road (which was recently sold, stay tuned for information on its development), Magic Johnson’s Starbuck’s Coffee, the Raider Nation Store, T-Mobile, and a host of restaurants, including an In-And-Out- Burger, Chipotle, and Del Taco. Most recently, the Oakland’s auto row along 1-880 has been growing. Currently housing One Toyota, Coliseum Lexus, and Paul Good Car, District 7 is proud to welcome Downtown’s Acura’s to its new location in the auto row. On top of all this development, a new 17,000 square foot LEED certified Veterinary Medical Hospital opened in October 2012 at the Oakland Zoo. The construction of The California Trail exhibit, a 56 acre change to the footprint of the Zoo will feature 20+ acres of open space habitat and 20 acres of new exhibits featuring regionally extinct animals such as the grizzly bears. Council President Reid has also spearheaded efforts with other notable agencies and participants to continue his plans for economic growth in Oakland. Examples include working with the Port of Oakland in the renovation of the Oakland International Airport, and working with BART to develop the Airport Connector. Additionally, for nine years, in an effort to fulfill the objectives of the Oakland/San Leandro Joint Revitalization Plan, Council President Reid in collaboration with the City of San Leandro hosted an annual job fair which attracted up to 100 employers/employment assistance providers and more than 2,000 job seekers. Council President Reid has also devoted his efforts in assisting and establishing local small business owners. For seven years, Council President Reid sponsored a Small Business Symposium which consisted of over 30 workshops, luncheons and mixers for potential and current small business owners. This symposium generally attracted over 700 participants. Council President Reid is currently Chairman of Rules and Legislation, and is a member of the Public Safety, and Community and Economic Development Committee. He is the former Chairman of the Alameda County Transportation Commission (formerly known as the Alameda County Congestion Management Agency), and current Member of the Joint Powers Authority, which oversees the operations for the Oakland-Alameda County Coliseum. In addition to the various Boards and Commissions for the City of Oakland, Council President Reid also dedicates his time and service to helping numerous members of his district who are less fortunate. Through “Larry’s Kids”, Council President Reid has donated hundreds of new coats and gift cards to school kids throughout his district. Additionally, he has also donated hundreds of turkeys and dinners for the holidays. The schools in District 7 have also benefited from the generosity of Council President Reid as he has donated thousands of dollars through various organizations to schools in his district. 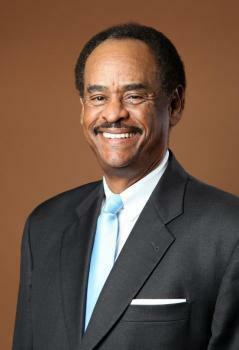 Council President Reid has dedicated his community service efforts for the past 30 years in the City of Oakland. He served as Chief of Staff for former Oakland City Councilmember Aleta Cannon and former Mayor and Assemblymember Elihu Harris.